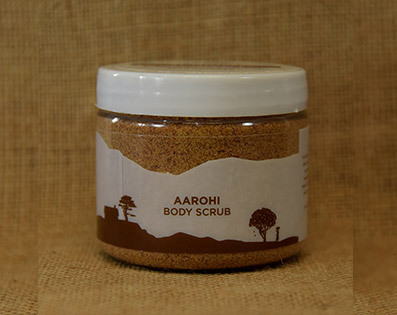 Apricot scrub is a non-soap, face and body-wash powder made from apricot kernels. It is available in pure powder form and can be mixed with water, rose water or milk. It works as a gentle skin exfoliant and moisturiser. Apricot scrub is hand pounded to preserve its natural properties and contains no additives.